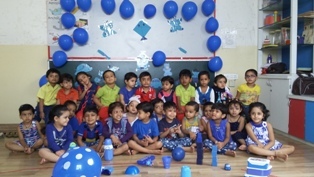 The toddlers of Nursery, WIS Bhilwara celebrated Blue colour Day on Monday, July 18, 2016 with a lot of exciting activities. 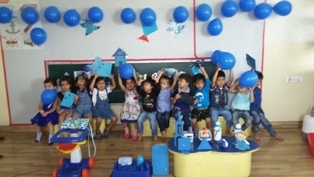 The entire classroom was decorated with Blue colour objects. 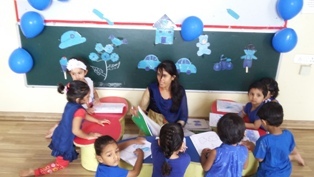 The tiny tots came to school in blue coloured clothes and brought their favourite blue coloured objects such as ball, bottle, car etc. 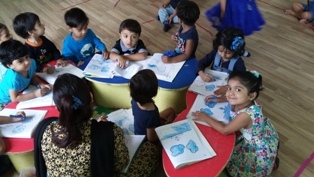 The kids watched the story of blue colour and they also did colouring in Round about book. The little angels could recognize the colour blue in an interesting way.